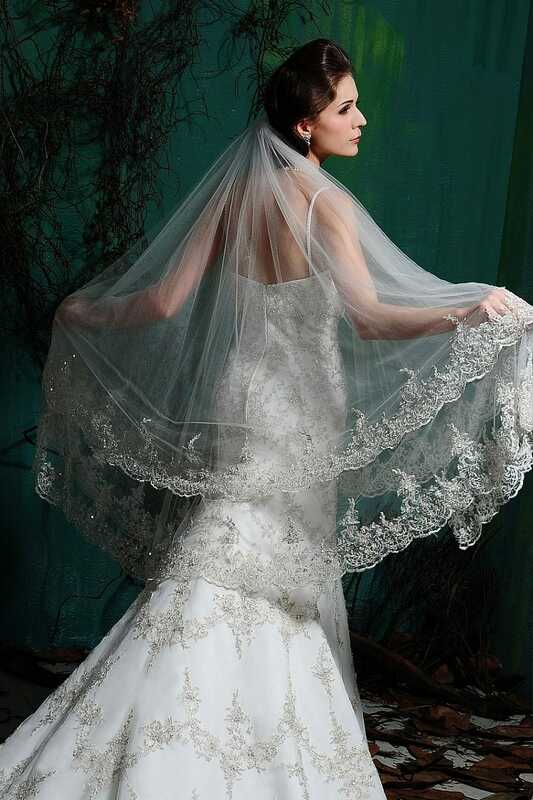 Larisa is a master seamstress and gown designer with over 30 years of experience designing and sewing. She guarantees your gown will fit perfectly. 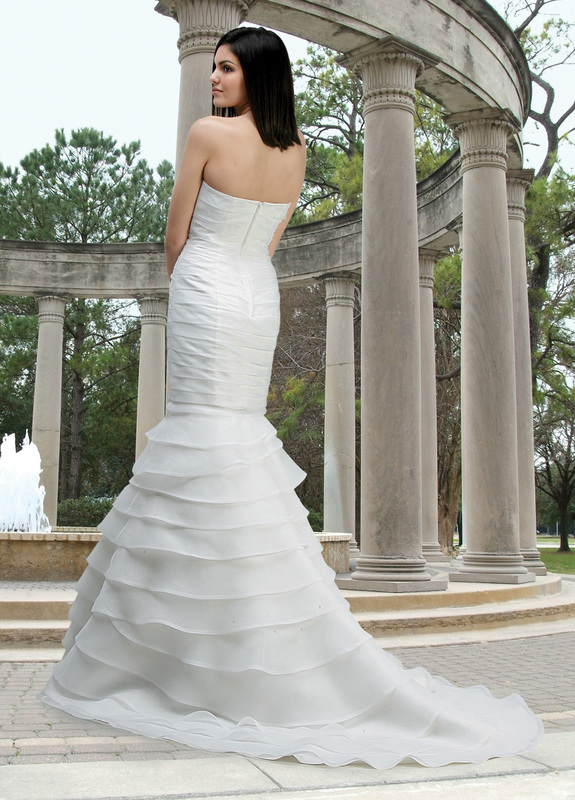 Browse our exclusive designers, and we will order the gown you want if we don't already have it in store. 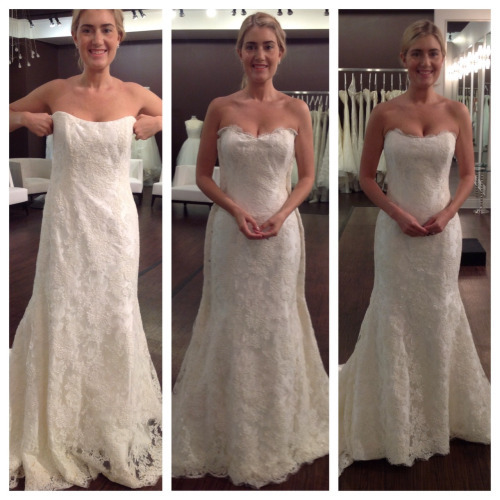 When it arrives, Larisa will tailor your dress to get the perfect fit. Larissa did outstanding work. I love the job she did, and would recommend her to everyone I come across. Thank you so much Larisa! Thank you Larisa - you are a life saver! 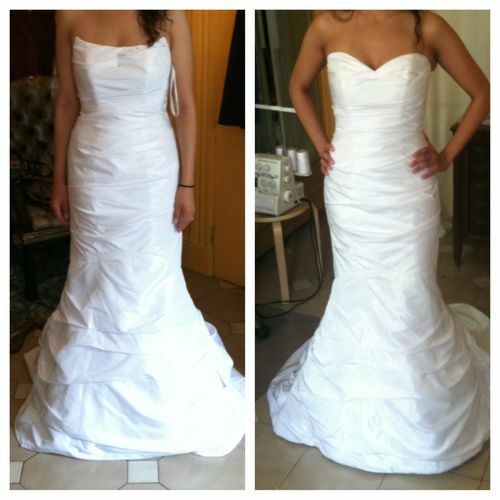 Larissa, you did a lovely job with my Wedding Dress. I cannot wait to wear it! Thank you so much for all your hard work to make my dress so beautiful! Larisa, The work on my daughter's wedding gown was unbelievable. The dress looked stunning. You were so wonderful to work with and took so much time to make the gown fit so well. Thank you for everything. Larisa, I cannot thank you enough for the last minute alterations on my gown. I received so many compliments on 1) how pretty the dress was but 2) how it fit me like a glove. And you are the reason why it fit me like a glove 🙂 :)!